One of two things might have happened since we posted our first date night story: you are having a wonderful relationship and have explored a lot of Waterloo Region together; or, things didn’t go so well and you’re looking for new date-venue ideas. We hope the former is the case, but here are a few more date night suggestions – and several new venues to select from – that cover the simple and casual to the more refined and elegant. That is up to you to decide. Food lovers only need apply! As we stated in our earlier date-night article, a key first question needs to be asked: does your date love food? Then, select a venue with the right atmosphere for the date: do you want quiet and casual, or something with a bit of energy? Is this formal or really relaxed? As for what to eat, shareable plates mean more shareable conversation about the food. 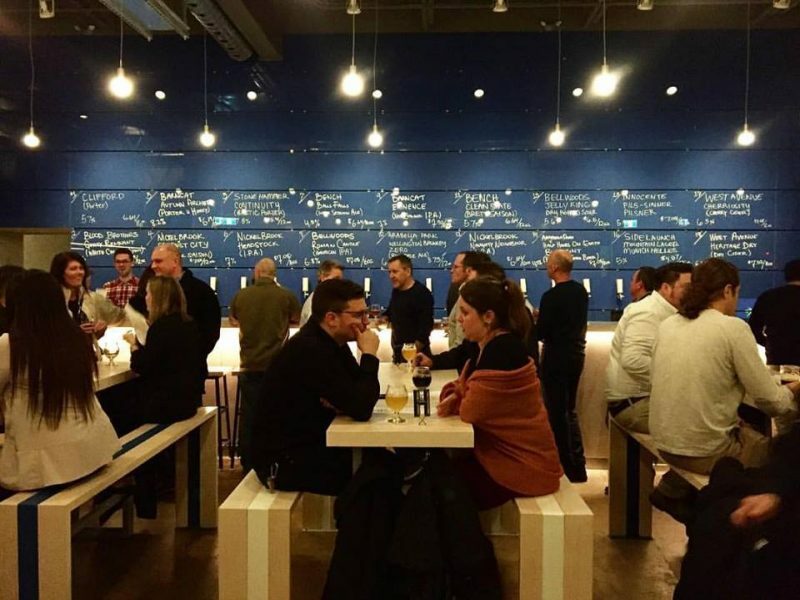 Perhaps good local beer is a common love? Perhaps inventive cocktails? Maybe it’s something simple like a sweet with coffee or a full-on dinner with wine service? Chef Kyle Rennie at King Street Trio in UpTown Waterloo has cooked in Toronto, Ottawa and Calgary and he’s recently put together a new menu that features steaks and several seafood selections. Inside, the restaurant is a blend of media from wood, tile, brick, reclaimed materials and stainless steel. The ambiance is casual and cool but warm at the same time. It’s always fun to watch the action in the open kitchen too: it takes the pressure off trying to make conversation on a first date. The new Loloan Lobby Bar is a spectacular new restaurant concept from the folks at Bhima’s Warung. Think of a classic southeast Asian hotel, perhaps in Hanoi, with a cool lobby-inspired bar that is perfect for casual conversation – and people watching. The food and cocktails are spectacularly unique as well. As well, in the Highland-Belmont neighbourhood of Kitchener, you can walk a block or two and informally sample shawarma from Highland Halal Shawarma, Afghani aushak dumplings from Chopan Kabob and some shimbra asa chickpea fritters and injera bread at Muya Ethiopian before visiting the patio at McMullen’s Canadian Pub & Pizzeria for an evening beverage. Perhaps flying somewhat under the radar are a few so-called board game cafés in Waterloo Region. They are what they sound like: a place to grab a bite to eat and play either a classic board game or one of the new generation of games. 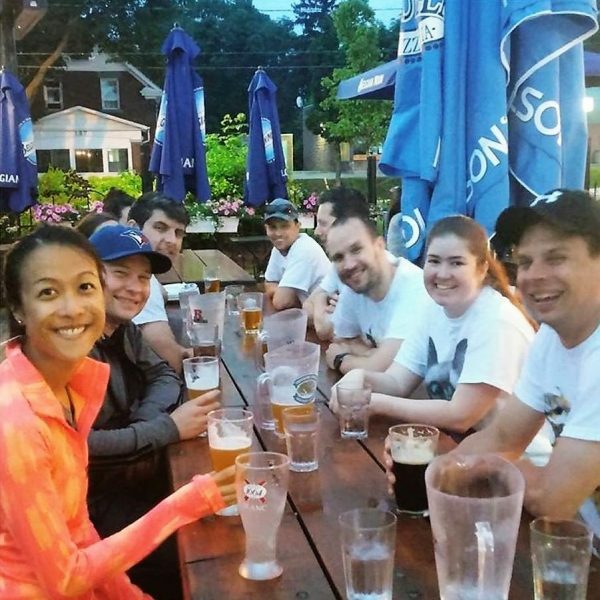 Check out Games on Tap Board Game Café in Waterloo for over 850 games and a relaxed and casual setting. On the menu is craft beer and lots of snacks (sweet and savoury), soups, salads and inexpensive home-made sandwiches and panini. Having popped into the Lancaster Avenue location left by Public Restaurant and Bar in what is known as Northward, Swine & Vine is a small eclectic wine bar that specializes in charcuterie, sharing plates and 10 artisanal cocktails. You can choose from a half-dozen boards, including one that you build yourself. 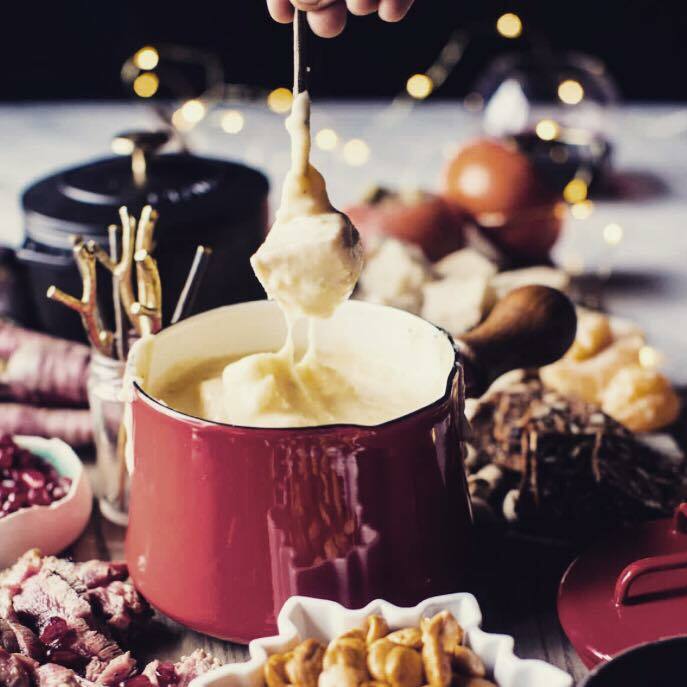 Wednesdays there is fondue, a good way to share a moment or two together lingering over melted cheese. 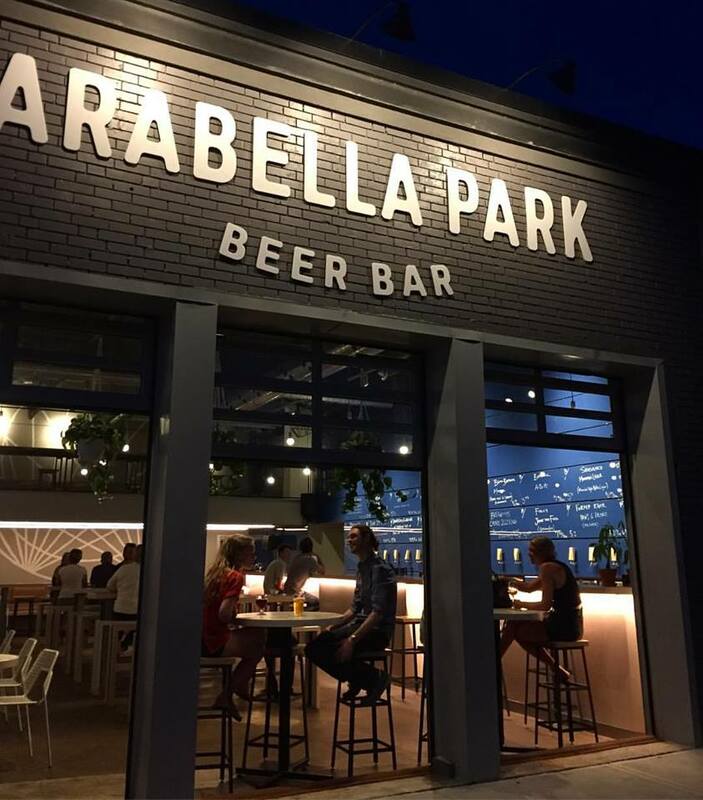 Fresh off receiving a place as one of Canada’s top 50 bars, Arabella Park Beer Bar might be your kind of venue for a date. The food is rooted in Canadian and as local as possible and comes from the imagination of Stratford Chefs School grad Byron Hallett; the brews and ciders come from 18 rotating taps, from this region and well beyond. There’s a river view around Melville Café in the School of Architecture in downtown Galt. They serve espresso-based drinks, homemade desserts, delicious cakes, thin-crust pizzas, sandwiches and soups. If you’re in the area on June 10, you could cheer on over 3,000 recreational cyclists as they hit the roads and trails in the city for the Tour de Grand. 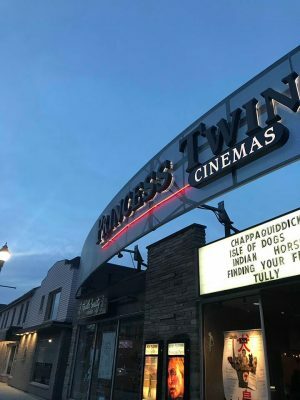 Sure you can go to a big movie house, but for a more refined and truly urban experience – and perhaps an “art house film” try the Princess Cinemas in UpTown Waterloo and Kitchener’s Apollo Cinema. The original Princess first came on the scene in 1985 and its twin sisters just around the corner in 2003 – there, you can grab a panini or Cheeses Murphy grilled cheese and a local beer or cider at the Princess Café. At the Apollo Cinema, with its 43-foot screen located on Ontario Street between Weber and Duke streets, there’s food and beverage and seats that work well together for a comfortable evening. Check out their neighbour: The Crazy Canuck often does events with the Apollo. A caffeinated date – but in the morning? Coffee shops provide a dynamic and engaging environment for chatting and getting to know one another in a casual, relaxed way; or, they are great as slightly different venue for a third date – or a seventh, for that matter. And what about a midmorning visit for some great coffee – and a piece of toast? 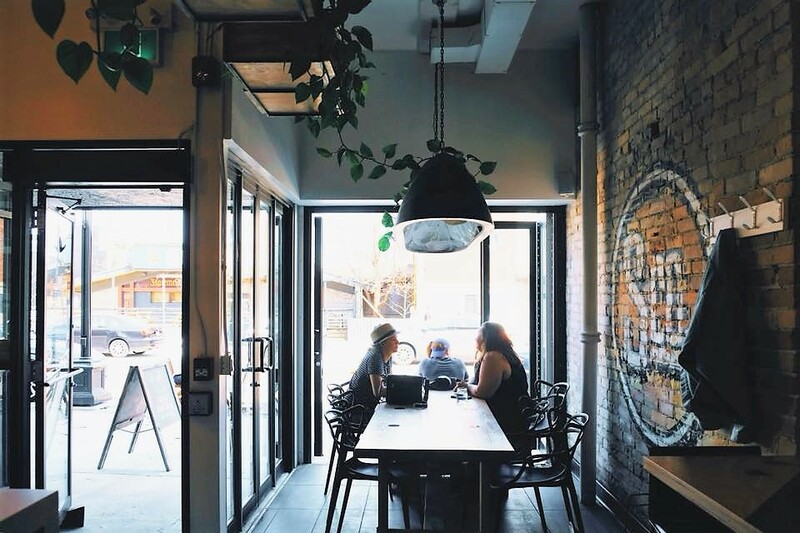 That can easily been done at Settlement Co. in Kitchener at King and Victoria streets or three kilometers away at their UpTown Waterloo King Street location: they offer a “toast menu” of about six selections, from Nutella or avocado to cream cheese or hummus.